Nadia is our CMIYC Leader for the wonderful South Peninsula. 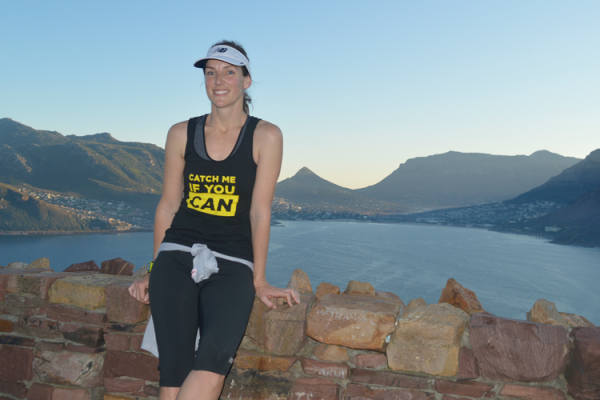 This amazing woman is a very disciplined runner who loves facing challenges. Find out what motivates her to keep on running, how she balance her running with her work and family life and much more in our #MeetTheLeader Interview with Nadia. 1. When did you discover running for yourself, and why? I remember doing my first 60m race when I was six years old. I was quite a bit overweight and all I remember, besides the fact that I finished last, was how my cheeks bounced up and down with every step. It was that day that I saw the older kids participate in the 1200m and even though I admired them, I told my dad that I was way too scared to even try. It seemed very far at that stage and besides, what normal person will be crazy enough to run that far. My dad being my hero told me that I can achieve anything if I put my mind to it and advised me to start my training by running on the farm wearing my CAT boots. I ran every day for that following year and managed to finish first in the next 1200m race and ever since that day, I loved running. 2. What are your reasons to keep on running and take on races? As I grew older I did get distracted and I must admit, I am sure that I would have been a much better runner if I stayed focused. A few years after school, I started running again to help manage my weight and to clear my head from a very stressful job. By participating in races helped me to set goals, which was a good way to motivate me to go for a run as often as possible. Today I love being surrounded by people who has a similar dream to me. They truly do inspire me. I must also admit whenever I hit my “runner wall” I think of Caroline Worstman (she is my ultimate running hero). We all know the story of this legendary runner. She is slightly older than me and has got a much busier schedule seeing that she had a full time job and two kids and still managed to win the Two Oceans and Comrades (So by the way I cried like a baby when I saw her running so gracefully over that finish line). Whenever I feel that the road is starting to defeat me, I think of her and how confidently she handled each situation. This have thought me how to visualise my goals correctly by focusing more on the actual goal than the discomfort or the pain that you might be experiencing at that moment and that have helped me in many challenging situations to lift my legs and run until I have crossed the finish line. Running really is much more about your mental state that what it is about fitness and that is why I always pay close attention to the “prep talk’s” I give my-self before every run. 3. 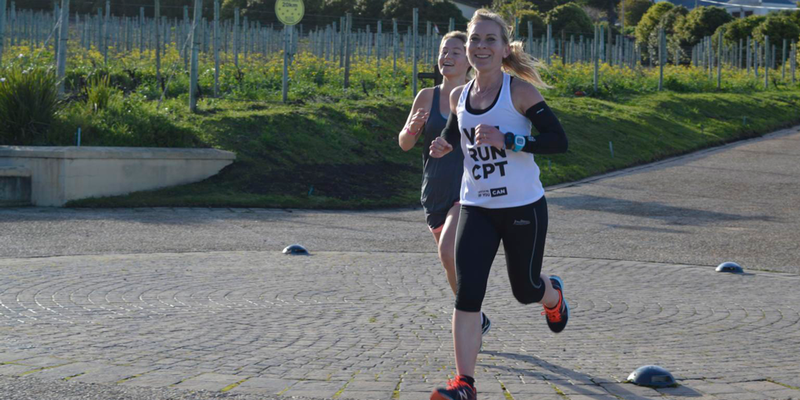 How do you manage your passion for running and your work & (family) life? Running has thought me a lot about patience, self-discipline, time management and having a healthy lifestyle. It’s very important to have a weekly schedule and not be open for any negotiations to your-self. Once you have decided on your schedule. It is important to stick to it. No if’s or but’s or “maybe later”. End of story. 4. What do you love about, being a CMIYC Leader? I love meeting new people that have similar interest than me and hearing all their stories. They really do inspire me in so many ways. 5. 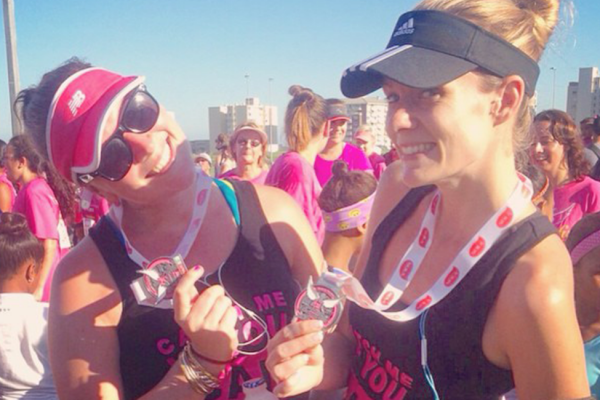 Which advice would you give other women that want to start running? Running is not about being the fastest runner on the road. It is about being a better you than you were yesterday. Rather try and beat your own records than the person next to you, as those goals are more realistic. Always make sure that you enjoy the run. That way you will be eager to run again in the future and once you are in the habit of running, you can start making it more interesting by setting new goals for your-self. Don’t try to take on too much too quickly. That way you will be less likely to burn your-self out and never let a running injury stop you. Look after your-self, but learn how to overcome them. Have a goal and determine a strategy on how you are going to achieve that goal. In the end, that is what will make you the stronger runner. 6. What was your biggest running accomplishment? Finishing my first Marathon having my childhood memories in mind. I must honestly admit the one thing that running has thought me is, that you are capable of so much more than what you can ever imagine, you just need to believe in your-self and apply the necessary discipline. The rest will follow. 7. 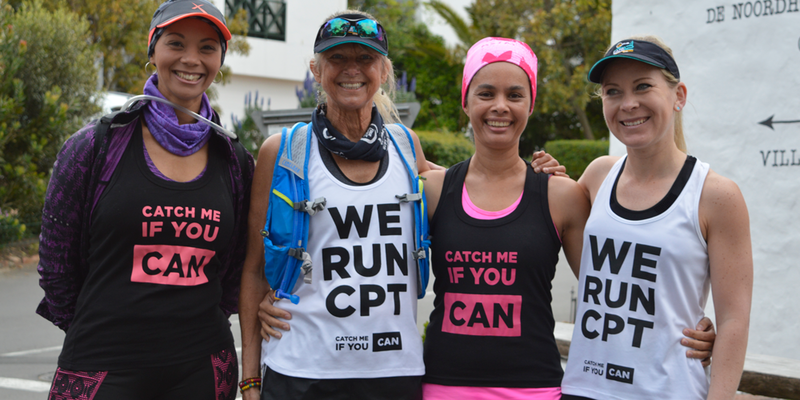 What is your favorite race / route in Cape Town? To be honest I must admit that every race that I participated in had it’s own story to tell and lesson to teach, but the two races I enjoyed most was the Wings for life run were we were all given a opportunity to run your heart out for those who can’t and the Huguenot tunnel run, which was very exciting and adventurous and the Two Oceans Ultra Marathon. 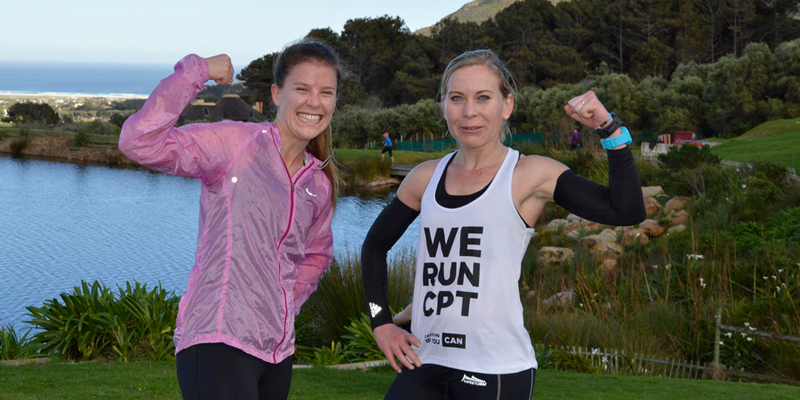 When I train, I have a selection of different routes that I run, with lots of traffic passing by (for safety reasons), but they all have very nice views over False Bay or Noordhoek to help make them more enjoyable. By having different routes, you are also less likely to get bored with running. 8. What does a normal recovery day look like for you? Taking my dogs for a long walk on the beach or spending the day with my awesome husband. 9. What is your next big running goal? Comrades Marathon. I am very nervous about it, because it will be my first one, but I believe every runner should do it at least once in their lives. 10.What do you love about ‘Catch Me If You Can’? Everything!!! Especially being part of a community that loves running. All the ladies that I have met so far is absolutely stunning and I admire each one of them so much. Every day I am thankful for being part of such an awesome team.